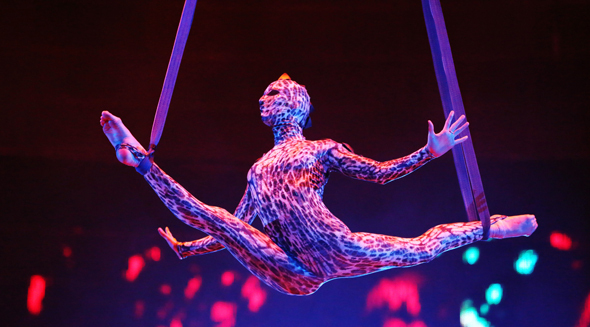 Get ready Dubai, as there are freaky circuses and pop idols in town (oh, and popera hunks too). There’s also a food truck night out happening, a new hip bar opening and a food challenge throwdown. We’ve got your weekend covered… (oh, and head here to find out what movies hit Dubai screens today – we’ll be seeing the zombie period comedy, for sure). S*uce founder Zayan Ghandour’s own line Zayan The Label is hosting a studio sample sale right now. Running from 8am to 9pm across all three days of the weekend, there will be major discounts on samples from her past five seasons. This is epic news for local fashion fans. The Change Initiative, Sheikh Zayed Road (in between Barsha and Tecom) – map here. 8am to 9pm until Saturday. More info on Facebook. From young British foursome The Vamps to Rita Ora, Adam Lambert and Fifth Harmony – RedFest is the pop pick of the weekend (it runs on Thursday and Friday). Oh, and EDM royalty Steve Aoki will be there too, as will Grammy-nominated R&B man Trey Songz and soulful singers Nathalie Saba and Eva Simons. Closing the party will be British Radio One DJ MistaJam. Each artist only plays on one day, so check the website first to make sure you’re going at the right time to see your favourites. Dubai Media City Ampitheatre, Media City, Dubai. Dhs400 per day or Dhs700 for the whole weekend. Metro: Nakheel Station. More info on website. Held at The Empty Quarter gallery in DIFC, photography exhibition Mirror of the Orient showcases the work of French photographers Roland and Sabrina Michaud, who have been travelling around the Middle East and Asia since the 1950s. 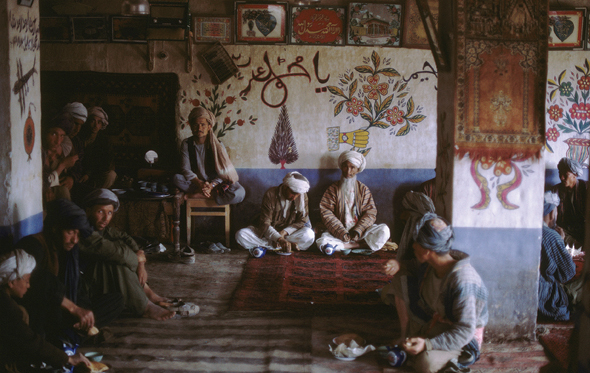 The photos show moments from Iran, Afghanistan, India and Morocco. Empty Quarter is only open Sunday to Thursday, so why not pop down to DIFC right after work tonight? 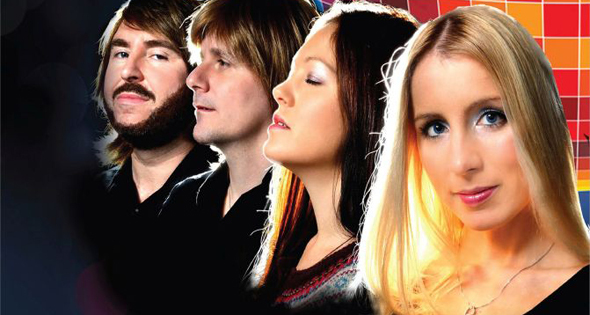 Wafi in the Park returns this weekend with a tribute band to the rulers of cheesy 70s disco – ABBA – the show runs tonight and tomorrow, and tickets include a picnic basket and a glass of grape per person. It’s sure to be powerfully cheesy, but also bucketloads of fun. Wafi Rooftop Gardens, Wafi City, Dubai, 8pm, Dhs225. Tel: (04) 3244100. More info on website. Venerable, grand and traditional. The Moscow State Circus – in style, in appearance, in deed – has sat a ring above other circuses for generations. Rising to world acclaim during the Soviet period, the Russian circus typically blends traditional clowning, juggling and contortion with animal acts and lion taming. But an altogether otherworldly show is coming to Dubai: UFO: Circus From Another Planet steps away from animal antics and upping their alien game, bringing a 90-strong crew of acrobats, jugglers, gymnasts and unique breakdancers all on board a gigantic spaceship. Planning your nuptials this year? Well the Bride Show is this weekend, and it’ll see a lot of wedding experts in one room. From flowers to food and entertainment, you could basically sort your whole wedding out in one day here. There will also be pamper zones where you can get free manicures and the like (because, let’s be honest, planning a wedding is stressful). Until February 13. Dubai World Trade Centre, Dubai, 3pm to 9pm, Dhs20 entry. Tel: (04 336 5161). thebrideshow.com. 7. Take on the What’s On monster shake challenge! Seen the gigantic bucket of goodness on the front cover of What’s On’s February issue? Well you can drink it! It’s a secret menu item made by Circle Cafe for What’s On readers only. 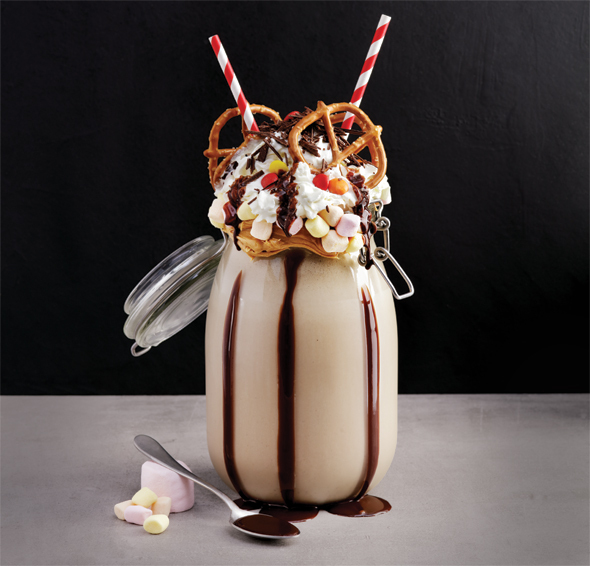 It’s called ‘The Absolutely Massive Monster Milkshake’ and is made up of an eye-bulging blend of vanilla ice cream, peanut butter, crushed pretzels, half a litre of choclate sauce, milk, whipped cream and marshmallows. Wowza. So how can you get your chops around it? Well you have to go to the Dubai Mall branch of the Circle Cafe, any time between 10am to midnight, and ask the waiters for the What’s On monster shake (nod nod, wink wink). It’ll set you back Dhs145, but will feed plenty of you, like a lot of people – definitely one to share. If you do try it, make sure to tag us on Insta’ or Twitter to share your triumph! Circle Cafe, Dubai Mall branch only, Downtown Dubai, daily 10am to midnight, Dhs145. Tel: (04) 338 0049. circle-cafe.com. Dreamy opera quartet Il Divo are in town to perform just in time for Valentine’s Day – they’ll be belting out their reworked anthems, from legendary Bocelli hit Time To Say Goodbye, to Celine Dion’s The Power Of Love. The group was created in 2003 by pop Svenagli Simon Cowell, and have sold over 30 million albums worldwide. Read more about them here. Meydan Ampitheatre, Nad Al Sheba. 7pm, Friday February 12. More info and tickets here. 9. Step On, do it! Expats who have lived in Dubai for more than a handful of years will have fond memories of Step On’s Indie nights, and they’re back this weekend: if you’re keen to hear everything from the newest indie tunes to the true classics, this is the place for you. Casa Latina, Ibis Hotel, Sheikh Zayed Road, free entry, 8.30pm to 2.45am, more info on Facebook. A new bar and kitchen opened in DIFC last night, and it’s called Indie. It’s already a known concept in Beirut, and is on the top floor of Gaucho restaurant. They promise an unfussy place to hang out, and an eclectic collection of music, cocktails and food. There will be DJs, live acts, percussionists and more, also, there are three dedicated bars – one for sake, one for cocktails and one that specialises in fresh fruit. We’ll let you know what we think of it soon. DIFC Gate Village, DIFC, 5pm to 2am daily (with band nights every Wednesday). More info on Facebook. Blue Marlin Ibiza, Golden Tulip Al Jazira Island Hotel, Ghantoot, Dubai, 12pm to 11pm, free to guestlist. More info on Facebook. Today is the first ever Food Truck Brunch (it will take place every second Saturday from now on): the brunch itself is all booked up, but the good news for those of you still desperate to sit on the grass and eat food truck grub is that post-brunch there will be a Food Truck Jam, which is free to enter and on an a la carte basis. There will be 10 food trucks there to feed you while the sun is going down. If it’s brunch you’re after, keep an eye on this Facebook page to register for the next Food Truck Brunch before it books up. Emirates Golf Club, Dubai, 5pm to 11pm, free to enter, more info on Facebook. 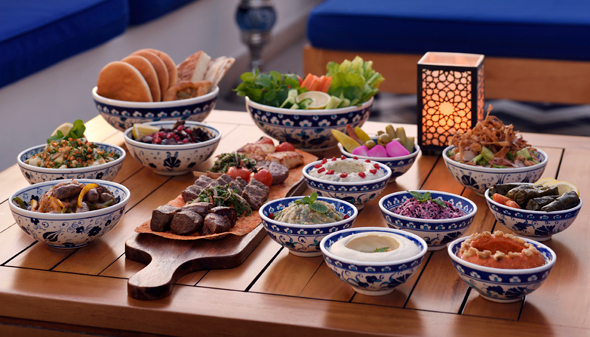 This beautiful Park Hyatt spot is one of our favourite places to take visitors in order to show off the flavours of the Levantine region, and they’ve just launched a new a la carte lunch and dinner menu that is definitely best eaten in a big group, sharing style – the Grilled Tiger Prawn Platter is next-level delicious. 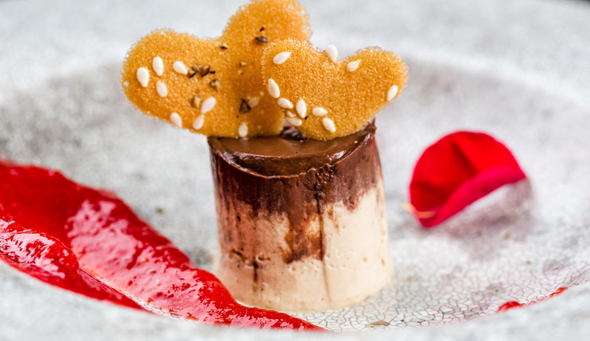 Clé Dubai is offering a five-course menu this Valentines weekend, running from Thursday until Sunday February 14. Sunday is hardly the most romantic day of the week, so why not go tonight? You’ll get to try courses like the Catch Seafood Salad, Pistachio Crusted Lamb Loin and the Chocolate Valentine dessert. Rebecca Ferguson is an X Factor UK star with a big soulful voice – and she’s playing tonight at hip-yet-posh new Fairmont restaurant Bistrot Bagatelle. All you need to do to see her live is just book a table for dinner at the bistro. She’ll be singing tracks from her latest album Lady Sings The Blues and will do three 20 minute sets from 9:30pm to midnight. Fairmont Dubai, Sheikh Zayed Road, Dubai, 8pm to 2am. Tel: (04) 3545035. Metro: World Trade Centre. bistrotbagatelle.com.